Butter sometimes goes on sale at the grocery store, and it's a good savings strategy to stock up. But you can't use it all before its sell-by date. So can you freeze it successfully and use it over a long period of time? The answer is yes, and with great results. As long as the butter you're freezing is fresh, it should keep for a year or more in the freezer. Butter has a shelf life of about four months in the refrigerator, so freezing it buys you a considerable amount of time. After a year, your frozen butter will still be safe to use, assuming it's remained frozen the entire time, but you might start to notice signs of freezer burn. If you plan to store your butter in the freezer for an extended period of time, or really even for a short time, be sure to keep it away from onions and other odiferous frozen foods. Butter has a tendency to pick up the flavors and odors of the foods that are around it. You don't want your baked goods tasting like onions. Freezing butter is a cinch. Just pop it into the freezer in its original box or container. That way you'll have the package with the sell-by date or best-by date to refer to later, and you won't have to bother with labeling anything. 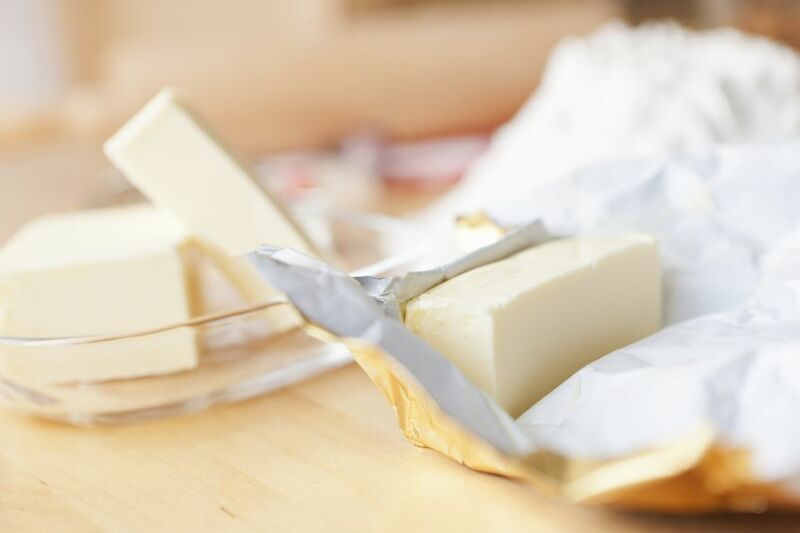 The original packaging should be adequate to protect against freezer burn, but it might be worth it to slide your butter into a freezer bag if you plan on storing it for quite a long time. This will also offer some added protection from smelly foods. When you're ready to use your frozen butter, just thaw it in the refrigerator overnight. You can thaw it a pound or a stick at a time, whatever quantity works best for you. If you need butter you've frozen right away, you can thaw it in the microwave by heating it for 10 seconds, flipping it to another side, and then heating it for another 10 seconds. Continue doing this, watching it closely, until the butter is soft but not melted. Depending on the recipe, you might be able to use your butter while it's still frozen. If your recipe calls for melted butter, just take it straight from the freezer to the pan or microwave to melt it. Easy! If you see butter on sale for $2 or less a pound, it's a good idea to stock up and buy as much as you have room to store in your freezer. Those prices don't come around often. In fact, you'll usually only see butter prices drop that low around the holidays. What Is the Best Way to Freeze Onions?